Software development is often an important part of scientific work at TUHH. 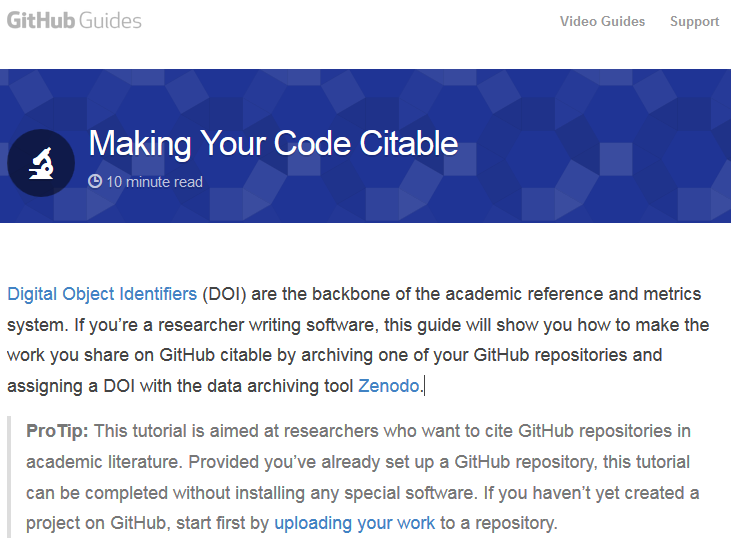 Many use GitHub to create and share scientific software together. What was missing for a long time was the possibility to clearly reference this software. Only then it can be quoted without problems in scientific publications. If you are already active at GitHub, you can connect an existing repository with a Zenodo account. The repository will then be archived on Zenodo and a DOI for the repository is assigned. Further releases are also provided for. Use the TUHH-Community on Zenodo for the assignment to the TU: https://zenodo.org/communities/tuhh/ Assignment is also possible at a later date. Add the ORCID iD (Give credit where credit is due) to the authors, if necessary. This entry was posted in Open Access, Publishing, Reference Management and tagged Citation, DOI, GitHub, Software, Zenodo by Beate Rajski. Bookmark the permalink.